Nawazuddin Siddiqui is the walking portrait of a gangster, as depicted in Indian cinema. Wearing mauve pants, a jazzy shirt and a gold necklace and watch, he nonchalantly strolls towards the table where journalists are sitting on set. Moments before, he was shooting a scene with Anurag Kashyap, but now, he is back to being his affable self. One wonders how he goes from being Sacred Games' Ganesh Gaitonde to Siddiqui the person, much like he shapeshifts from the character he plays in one film to the next. But a few conversations later, it becomes apparent that he just is the character; there's no "getting into it". Siddiqui's role as the boss of criminal group G-Company anchors the story in Sacred Games; the series, based on the book written by Vikram Chandra, chronicles the events that take place after his death. Viewers will also get a glimpse of Gaitonde's rise to power through Sartaj Singh's (the other central character) investigations of his past. To paint a quick character sketch, he moved in circles with fellow gangsters, corrupt politicians and starlets, and his very name would put fear into people's minds. He went from being a "graduate of many jails and footpaths and slums" to controlling an entire city. The book paints Gaitonde's character in different ways at different points in the plot. Once, he is "wearing a dirty blue shirt, brown pants, torn rubber-bottomed shoes and no socks, with forty-seven rupees in my pocket and a revolver in my belt and gold on my back," and some chapters later, his name "was used to frighten the recalcitrant". Siddiqui insists that though his character is part of the underworld, he is "not playing him as a gangster per se". "This is a guy who has big dreams and wants to make them come true. He believes that opportunities which allow him to become big will come his way. He attains success and is then mesmerised by it. His confidence begins to increase and soon he imagines that he is a god-like figure, because he manages to get out of any trouble that he finds himself in. He begins to believe that no one can touch or harm him, irrespective of what he will do. I think this emotion is common to us all," reveals Nawazuddin. He insists that Gaitonde is more like us than we think. "With time, he becomes powerful but does not realise that what he is doing is not morally correct — for him, all that matters is success. What we term morally right or wrong is a construct. He has several shades. By slotting characters into compartments, we actually limit them. This is why we think of villains as being entirely negative and protagonists as wholly positive. I'd say that Gaitonde has certain characteristics that even typically 'good' characters lack — he's liberal, very hardworking and respectful too." What Siddiqui likes the most about his character is that he breaks all of society's rules. However, it would be wrong to say that he has no redeeming qualities. 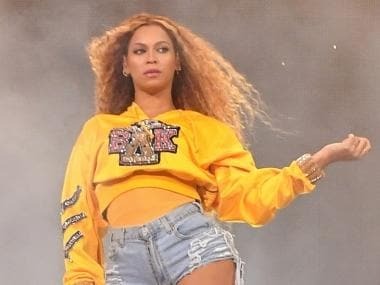 "When it comes to women, he does believe in treating them well and equally. He does this unknowingly." The book too, supports this observation: "Ganesh Gaitonde doesn’t dilute his cement with sand, he gives value for money," writes Chandra. 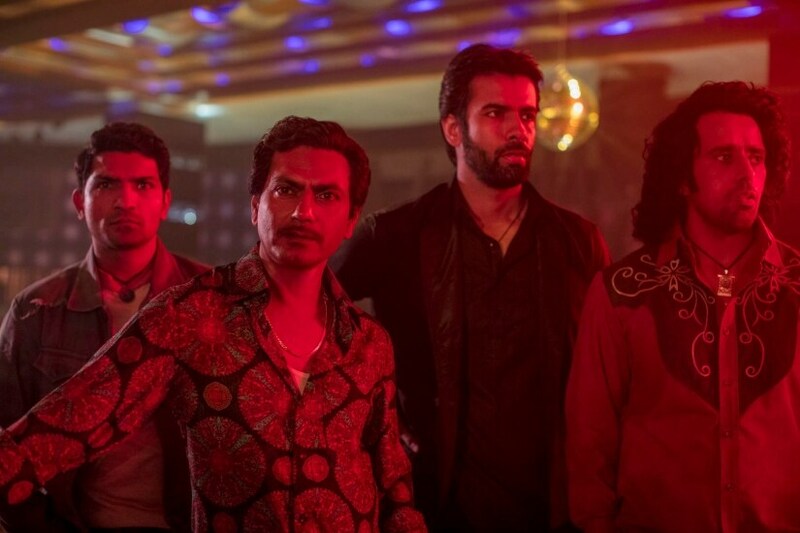 Siddiqui and Anurag Kashyap have been collaborators for over 10 years, and now Kashyap has directed the track of Sacred Games that involves Gaitonde's character. Speaking about his relationship with the director, he says that he doesn't have to think when working with Kashyap. "I have complete faith in him, and I place this faith in him blindly. I mould myself according to the needs of the script. For example, today, I met him some time before we shot, and I had no clue about how the scene would take place." He says that when you work with Kashyap, you can't predict the exact nature of a film's aspects. "With Anurag, I'm always portraying the character in that moment. The characterisation is scene-to-scene." Kashyap says that this is Siddiqui's best role thus far, and the actor concurs. "We would not have been able to sculpt the character in this manner in a film. The limitation with a film is that you have to portray someone's life within the span of two-and-a-half hours. We were able to include many details and explore many of Gaitonde's relationships. These developing arcs cannot be showcased through a film; you need about eight to ten hours to tell the story," he explains. A still from Sacred Games. Image Courtesy: Netflix. Nawazuddin seemed excited at the prospect of no censorship, given that Sacred Games is being released on Netflix. "You can explore emotions in their most extreme form — whether it is anger, love, lust — where we would otherwise be censored. We have tried to achieve things which cannot usually be attempted in films. Working in such an environment and with this freedom was a better experience than working in films," he says. It reminded him of his days at the National School of Drama, when he performed theatre exercises that stretched the limits of a scene. "We had the opportunity to try out similar things here, which made the experience so enjoyable... Whatever emotions there are within this character, we're exploring them very deeply." At a glance, it can seem like all the characters Siddiqui has played have an innate intensity and shades of grey. But he asserts that he is not being typecast. "I have played five gangsters, and each one has been strikingly different from the next." He insists that it is those actors who play mainstream 'heroes' who must be fearful of typecasting. "'Heroes' perform the same role throughout their lives. We have a very strange way of perceiving things in India; we label those who pursue the female character in a film as being the 'hero'. All of Bollywood has hung onto these heroes; we seem incapable of exploring any other human aspect in them. We cannot judge them as complete human beings, because we have seen them portraying only one kind of emotion. This is what has shaped the perception of Bollywood overseas, no wonder people say 'Waah, Bollywood!'" 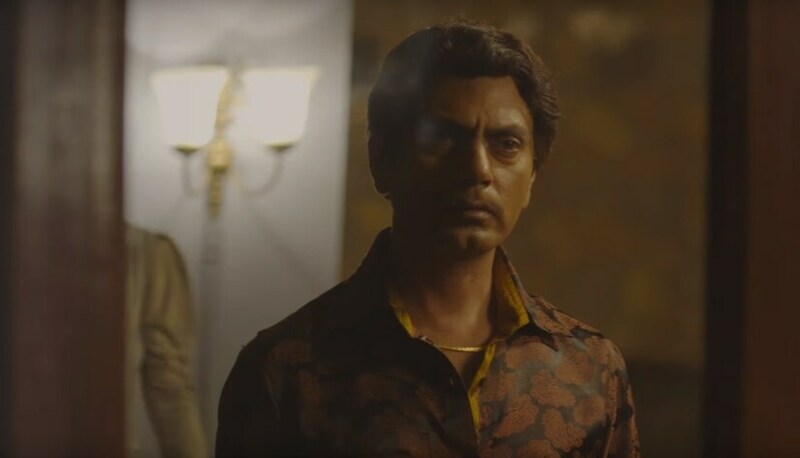 Nawazuddin Siddiqui as Ganesh Gaitonde. Image Courtesy: Netflix. Still, he is not entirely pessimistic and insists that a change is underway in Hindi cinema, in terms of realism. "Previously, heroes would never want that their image be affected negatively by the characters they were playing. Decisions were so calculated in terms of the roles they took up, the actresses they starred opposite (an actress who played your sister in one film could not play your wife in another). We think of heroes as Ram-like figures who can do no wrong. But with the entry of young filmmakers and exposure to films made across the world, a change is emerging," he says. Siddiqui is certain that he doesn't want to do typical films or portray typical characters. "The kind of films that become instant hits — the 'shaadi-byah' variety — don't interest me. The idea that hit films make one an actor is flawed; if it was true, why aren't we talking about the scores of people who were part of successful films in the past? I want to do those films which will allow me to think and apply myself as an actor. The simplistic, formulaic nature of shaadi-byah films doesn't appeal to me. My films may not do well at the box office, but I will be happy knowing that they gave me a chance to discover something new," he says, adding that if he does someday take up the role of a 'hero', he will do it his own way and inject authenticity into the character. Playing a character such as Gaitonde, or Faizal Khan in Gangs of Wasseypur, or Ramanna in Raman Raghav 2.0 can take a toll on an actor. Or so we assume. "Playing Manto did have an effect on me, playing Gaitonde left me shattered at various junctures. Of course we are affected by the characters we play," he says. At one point in the book, Sartaj Singh (who will be played by Saif Ali Khan) remembers Ganesh Gaitonde as being a man with a "medium-sized body and medium face, neither ugly nor handsome, all of it instantly forgettable". If the trailer of the series is any indication, Siddiqui's portrayal of the character will be far from forgettable.